Well, it is true… It’s day 14 of my physical fitness journey. You may have noticed that for the last 3 days, I didn’t write anything. Sorry about that. 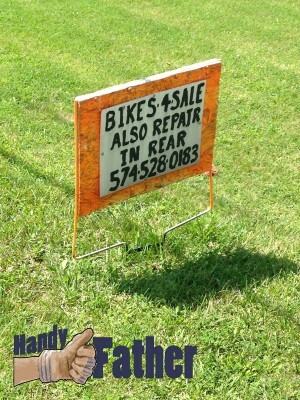 I was busy getting my bike repair done. Instead of recapping the last three days, I’m just going to pick up where I left off, and share about today. Physical Fitness day 14 Diet: Water – about 40 oz., soda – about 30 oz. (too much up against that little of water, I know…) Lunch – Sushi! I had Spicy Eel Rolls, and avocado salad rolls. with a mocha Frappuccino from Starbucks. For dinner we took the kids out for one last shabang before school started. We took them to Kaizen, a hibachi steakhouse where I had a combination of fried rice, chicken and Filet Mignon with Cherry Coke. It was delicious. I bought my bike from a yard sale for $10. It had a few problems, but it’s way better than the last bike I had. Well, the most recent problem I’ve had is that the chain had 3 kinks in it that made those three places skips off the cogs that drive the bike forward. It makes the pedals skip and is unsafe really to ride. Just try pedaling at full power with two kids strapped in a cart behind the bike, up a hill and have the pedal give out on you. It’s not fun. Well, the other day I had some down time, and I was home alone, so I decided to ride around the lake. The chain was doing its usual slipping when I noticed an orange sign in a yard. 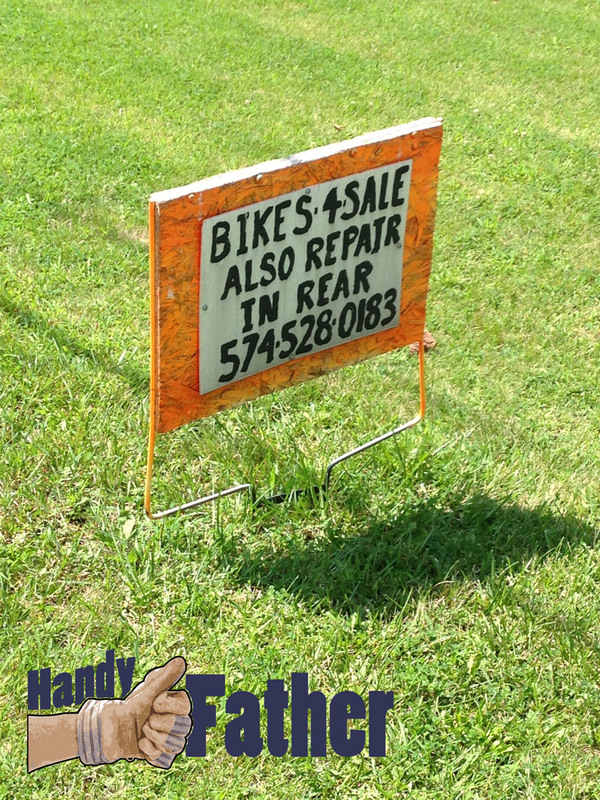 The sign read bikes for sale also repaired around back. I rode up to find a nice gentleman who happens to be handy with bicycles. I got to talking and he said he could fix my bike with a $10 chain, and he would charge $3.00 labor. I can deal with that! I gave him my bike, and walked home. The next day he gave me a call (today). He said he was the buy who does bike repair, and mine is fixed. I walked down to his house, while my daughter rode her bike. I picked up my bike, and my daughter and I rode home together.